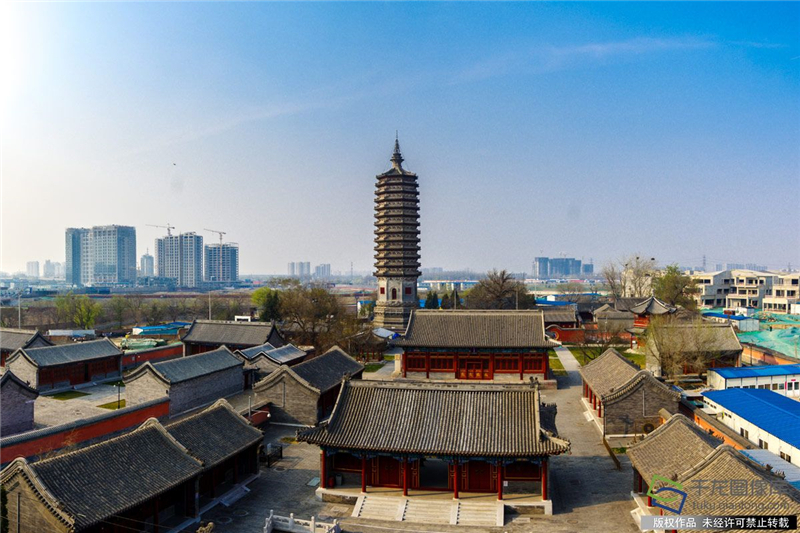 The 1400-year-old Randeng stupa, also known as Tongzhou Pagoda or Randeng Pagoda, is one of the eight top scenic spots of the ancient Grand Canal in Tongzhou District of Beijing. 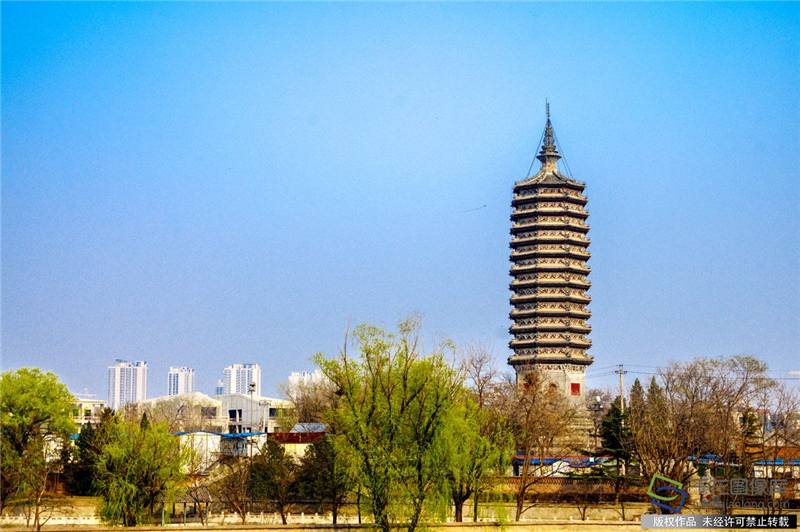 Built in a solid structure, the Randeng Pagoda is a 13-floor brick tower with thick eaves. The tower stores several Buddha relics from Luoyang and has a gold-plated bronze mirror placed on the top. It is said that the pagoda was built in the charge of Weichi Jingde, who is one of the door gods in Chinese myths. In the early autumn of 633 (Tang Dynasty, AD 618-907), Weichi was ordered to supervise the construction work of the pagoda. According to legend, that night when the work was completed, Weichi ordered craftsmen to light bonfires at the foot of the pagoda and pull up curtains around the pagoda. At that moment, the flames lit up the sky and the mirror on the top radiated brilliant light, which were seen by the ships on the Grand Canal even ten miles away. Since then the ships sailed along the Grand Canal more smoothly and the Randeng Pagoda became a famous “lighthouse” by the side of the Grand Canal. 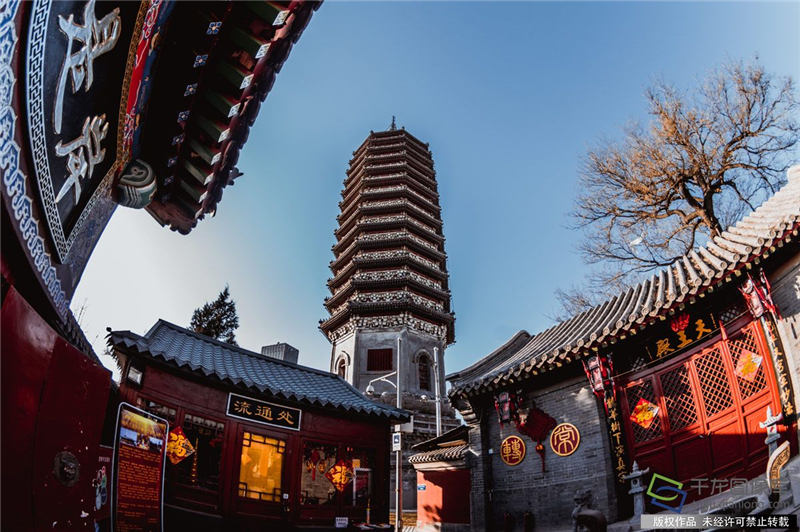 About 30 years ago, the Randeng Pagoda underwent a major repair to fix up the problems caused by the Tangshan Earthquake in 1976. Recently, the pagoda was cleaned up and renovated to put its 2,248 copper bells back to positions. The repairing work rectified the “modern traces” left in the repair 30 years ago to almost 100 percent recover the ancient style and materials. The work not only makes the pagoda sturdier, but also restores its original appearances. After this renovation, the pagoda will not need repairing for at least 30 years, except for necessary maintenance work.